Ensure your weekend look is on point with this killer shirt. 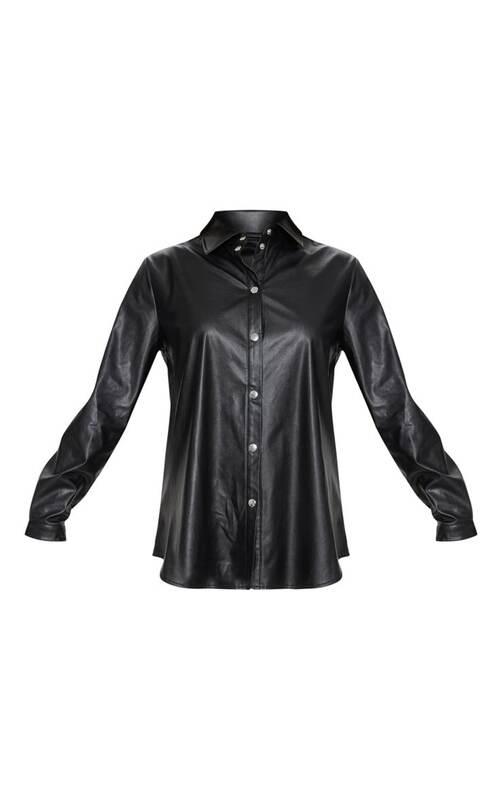 Featuring a black faux leather fabric with long sleeves, a button up front and oversized fit. Style with zebra print trousers and lace up boots for a look we're loving.